One of the stranger finds from a stream kick sample taken in the Cairngorms was this hairy cranefly Pedicia sp. larva. 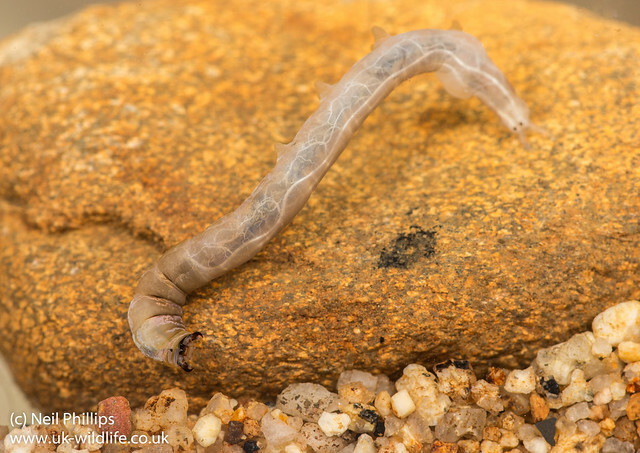 When you mention cranefly larvae, most people will think of the leatherjacket found under lawns eating grass roots, but there are a number of aquatic species too. 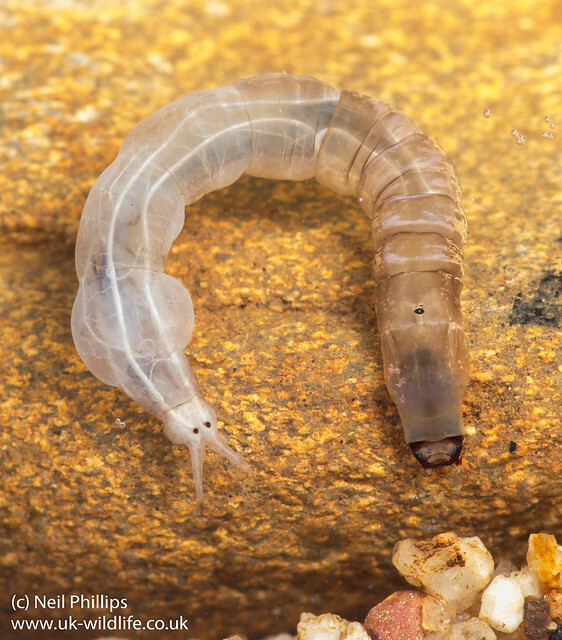 The thing that surprised me about this larva was those large mouthparts, which unsurprisingly show it is predatory. They are an indicator of clean streams and rivers , so finding one was good news for this stream, which was also full of other good water quality bioindicators like stonefly larvae and clinging mayfly larva. The 2 black dots at the rear end are breathing tubes, which have gills around them to extract oxygen when underwater. Another new aquatic species for me too!